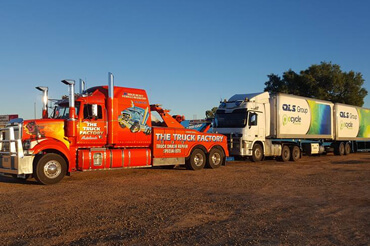 Located in Burton, The Truck Factory is a leading Truck smash repairs specialist and Heavy vehicle recovery and Heavy duty truck towing business in South Australia. Fully licensed and insured, we provide service that is fast, efficient, friendly and above all professional. The safety and satisfaction of our customers is our top priority, which is why we are available to respond to all of your heavy-vehicle emergency needs, 24 hours a day, seven days a week. From light-duty towing to medium duty towing, The Truck Factory has got the right equipment to meet your last minute demands. Does your heavy equipment need to be hauled? When the big jobs need to get done, we pull out the right machines. 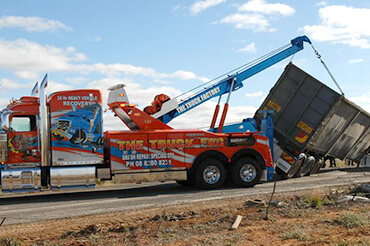 When it comes to Heavy-vehicle accident recovery, we combine our passion and expertise to deliver results. From light-duty recovery to heavy-duty recovery and all in between, we’ll have all your vehicle needs taken care of after any accident, big or small. 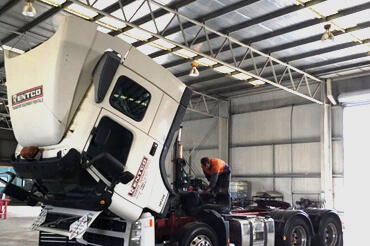 One of our top aims is repairing your truck quickly and efficiently so you can get back on the road as soon as possible. Among the truck-repair services we offer are oil changes, fuel and air filters, alignments and air brake diagnostics and repairs.